What Can I Expect if I Attend a Worship Service? Most people are curious about what they will experience when they visit our worship services. We want to make your first visit as comfortable as possible so we have included some information below to to help you understand what you can expect on Sunday mornings. CrossWay worships every Sunday at 10 a.m. Our worship services usually end around 11:15 a.m. Our worship will have an approachable feel. You can come dressed in what you feel comfortable in. We currently meet at 311 N Parkway Ave, Battle Ground, WA 98604 (click here for directions.). We think the best part of CrossWay Church happens outside of Sundays. We have a ton of events. Check out our calendar or like us on Facebook and stay up to date on what is happening in our church. If you have questions, feel free to contact us. We will get back to you as soon as possible. Of course, the best way to get a the vibe of our church is to attend a worship service! We invite you to come experience CrossWay this Sunday! Learn how God has used CrossWay Church to impact others! His grace can work powerfully in your life too! Our sermons are relevant and applicable to real life and last about 30 minutes. We spend the majority of our time preaching though a book of the Bible, looking at few verse each week. We rotate between the Old and New Testament books every couple of months. For a little bit more variety, we also do a topical sermon series 2-3 times a year. Click here to learn more about our current series. CrossWay worship has a blend of contemporary worship songs and some of our favorite hymns. 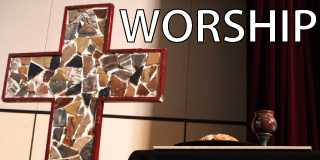 Our worship is upbeat, but we also have time for personal reflection. Most Sundays are worship team is comprised of a few singers and small band lead by an acoustic guitar. You check out our worship music page to see some of the songs we sing. 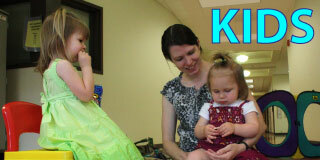 Click here toe learn what the normal rhythm or flow of our worship service is like. CrossWay Church’s worship service will have an approachable feel. 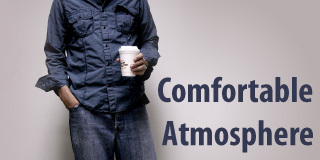 You can come dressed in what you feel comfortable. Most of our people where more casual dress. A few wear business casual. You will fit in no matter what you wear. 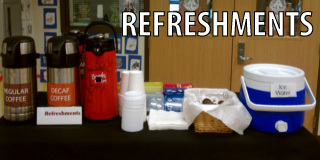 You are welcome to come enjoy a free cup of coffee, tea, ice water or other hot drinks. We also provide some complimentary breakfast snacks. 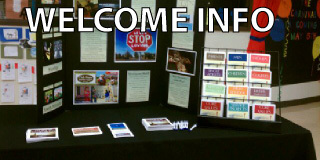 We also have more information about our ministries and a free worship cd for our guests. It introduces you to some of the songs we sing and explains how and why we worship the way we do. Click here to learn more about our church!